Sequels are almost a given for major blockbusters, especially Oscar-winning blockbusters. 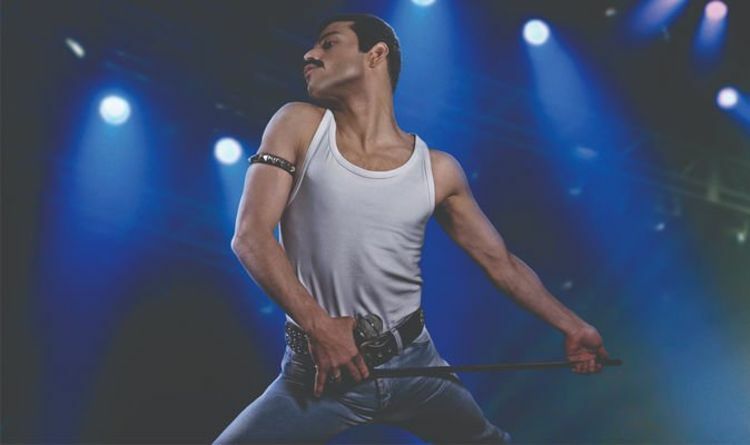 Bohemian Rhapsody is one such movie, having raked £666.5 million ($879m) worldwide and garnered its star a Best Actor award at this year’s Oscars. But a lot of stars need to align to bring a movie from a twinkle in a director’s eye to the silver screen. Will there be a Bohemian Rhapsody 2? As for what that sequel might entail, Telegraph reporter Ed Power had a few ideas. He wrote: “After Live Aid, some of Mercury and company’s most dramatic moments were still to come. Much of their best work – It’s a Kind of Magic, Who Wants To Live Forever – lay ahead of them. He also referenced the potential for a prequel, with Mercury’s past simply alluded to in the biopic, rather than deeply explored. As the fourth Toy Story drops its latest trailer and Terminator 6 gets its official title, the idea of a Bohemian Rhapsody sequel seems more and more likely. Bohemian Rhapsody starred Rami Malek as Freddie Mercury. Gwilym Lee starred as Brian May, with Ben Hardy as Roger Taylor, and Joe Mazzello as John Deacon, the guitarist, drummer, and bassist respectively. Lucy Boynton played Mary Austin, Mercury’s girlfriend, with Allen Leech as Paul Prenter, Mercury’s personal manager and lover. The Freddie Mercury biopic took almost a decade to make. Controversy has dogged the movie through its production, even after its Oscar wins. But with Byran Singer fully in the rearview mirror, there may be clearer hope for a sequel.